Don't let anyone tell you that plaid is an ordinary pattern. 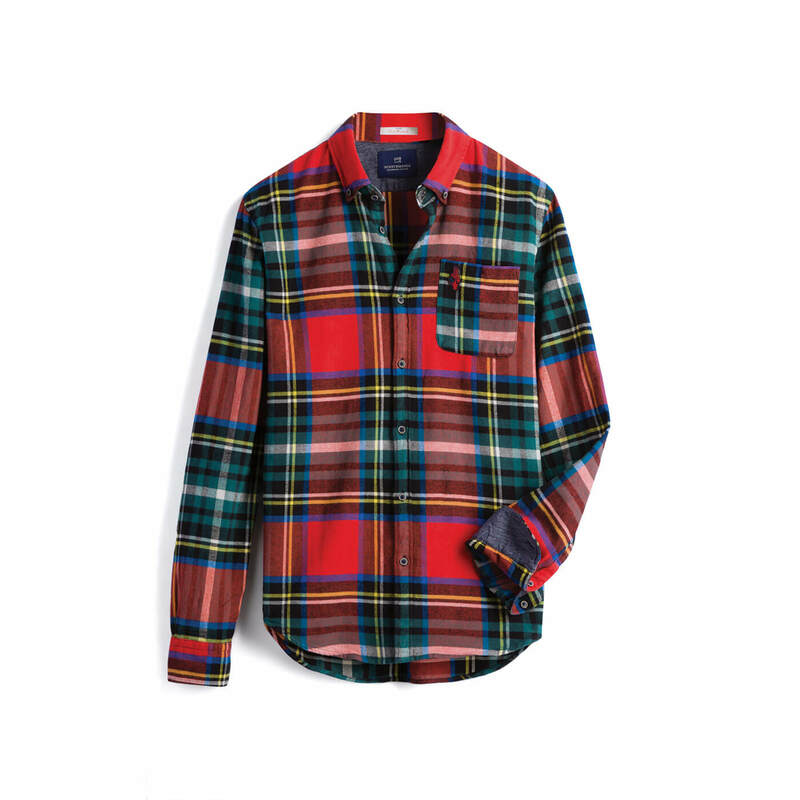 Its unmistakeable checks can be found across cultures and classes; they’re linked to Scottish history, early Americana and have been worn by surfers & punks alike. We dove into how this seemingly simple criss-cross of colors has endured over the centuries. Read on to learn about the history of plaid. To be precise, the pattern we know as plaid is actually called “tartan.” Tartans are weaves of alternating bands woven at right angles, while “plaid” originally referred to the heavy woolen clothes that bore this pattern. Scots would use them as blankets or would sling them over their shoulders. When tartan crossed the sea to the New World, “plaid” and tartan became synonymous. Tartans are older than you think. In The Mummies of Ürümchi, archeologist Elizabeth Wayland Barber describes the discovery of the Cherchen Man, a corpse unearthed from the mountains of Central Asia. Surprisingly, the mummified body was found in well-preserved textiles in a very familiar pattern. He wore “a twill tunic and tartan leggings,” and could be dated back to the 8th century BC. Plaid as we know it, however, emerged in Scotland in the 1700s. Geographically separated weavers produced different patterns based on which dyes and materials were available. The specific associations with families and clans came much later—and after that they grew to have political significance, too. The tartan shifted from Scottish family symbol to military uniform with the Jacobite uprisings against the English monarchy. When marching into the Scottish Rebellion of 1745, for example, The Royal Highland Regiment wore Black Watch, a pattern unaffiliated with any family or clan. The highlanders and their resistance were crushed; the ruling English enacted the Dress Act of 1746, which banned tartans except for military wear. When the law was finally repealed, it only served to bolster tartan as a symbol of Scottish unity. Scottish immigration at the end of the 18th century contributed to the popularization of plaid in the USA, but one Scotsman in particular may have played a bigger role. Jock McCluskey was believed to be a descendant of the legendary Rob Roy MacGregor, Scotland’s version of Robin Hood. He traveled from Braeval to the hardscrabble wilds of Canada to find work. Later, McCluskey helped tame Montana and the Dakota territories by establishing trade with the Sioux. He bartered pelts with natives for woven blankets from Scotland—emblazoned with red and black tartan of his (MacGregor) clan. It was the pattern we know today as buffalo plaid. A competing origin story about this legendary pattern comes from Pennsylvania. Founded in 1830, Woolrich Woolen Mills was one of the oldest makers of outdoor wear in the United States. At the time, Northern and Central Pennsylvania were experiencing a lumber boom, and founder John Rich travelled to the lumber camps with a mule cart to sell clothing to the wives of lumberjacks. 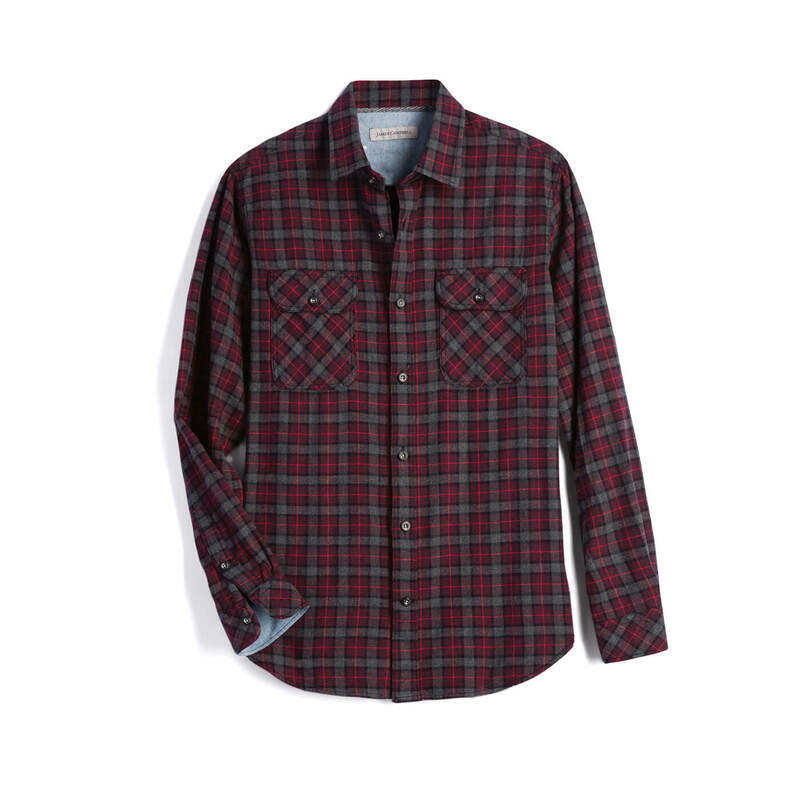 In 1850, Woolrich released the buffalo check shirt. According to company lore, the designer of this iconic shirt named the pattern after his own herd of pet buffalo. So successful was this pattern for Woolrich that it remains part of their logo. Before the 20th century, plaid held very specific associations. In Scotland, it was the symbol of a culture oppressed by a monarchy. 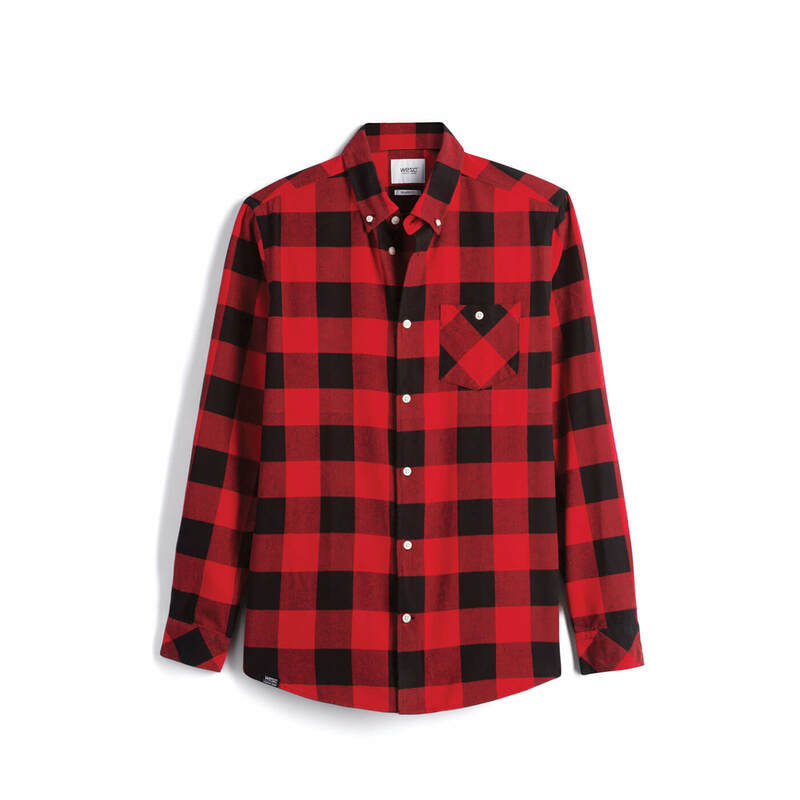 In America, it served as the uniform of the pioneers and the working class lumberjacks carving out a new frontier. But for plaid to reach the typical American consumer, it needed the help of an ad man named William B. Laughead. Hired to write pamphlets for the Red River Lumber company, he decided to tell the stories of Paul Bunyan—the lumberjack of legend. Known only through oral tradition at the time, Bunyan’s tall tales were first transcribed by Laughead—both in writing and pictures. Laughead gave him heavy brown boots, blue jeans, and a flannel shirt in red-and-black plaid. 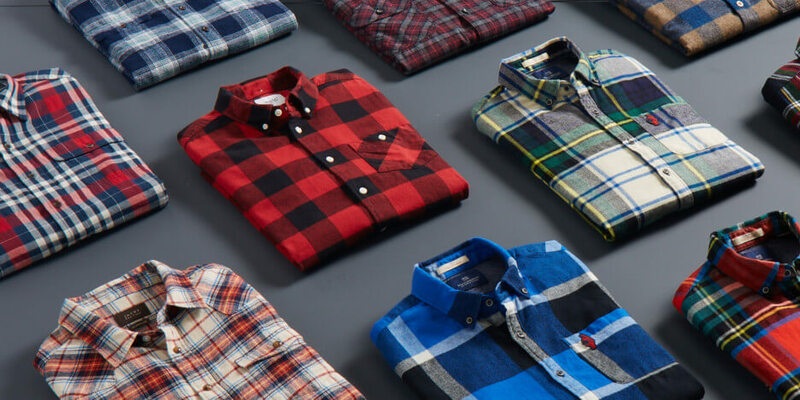 With Pendleton Mills’ release of their iconic plaid shirts in 1924, the mainstreaming of plaid continued. These shirts were one of the earliest examples of sportswear. They were so successful that a then-little-known vocal group from California named themselves The Pendletones after it. They were later known as The Beach Boys. In the late ‘40s, plaid crossed gender lines for the first time, when Pendleton made shirts for women. After that it was everywhere. It moved from wool to other textiles. You could find plaid not just on clothing, but consumer goods, on car seats, wrapping paper, shoes and even wallpaper. Perhaps as a reaction to this, plaid was adopted by the punk movement. And not just any plaid, punks in the UK chose Royal Stewart Tartan—the official tartan of the queen—to mix with their mohawks, safety-pinned shirts and motorcycle jackets. Plaid is a staple of any anti-establishment wardrobe. Judd Nelson’s character wore a plaid shirt in The Breakfast Club, and as the grunge scene started to grow in places like Seattle, loose-fitting plaid flannel shirts became the designated garb of the “slacker” generation. In a way, plaid was the perfect antidote to the excess of the 1980s. It’s ubiquity and history have made it a classic. It’s remarkable for anything in fashion to have longevity, but plaid is a special kind of enigma. It’s a pattern that can be simultaneously subversive and mainstream—working both for Johnny Rotten and the Queen of England. It’s somehow loud and garish, yet sophisticated and understated. It’s no wonder that 3,000 years after it was discovered in a forgotten tomb, we’re still wearing it. You don’t have to wait until Plaidurday to really show off your passion for plaid. For all you flannel fans out there, Worldwide Plaid Day is celebrated on the first Friday of every October. Mind blown. Mark your calendars to high-five your fellow brothers-in-plaid.